Corona del Mar homes offer some of the most impressive, expensive real estate opportunities in the entire country. With thousands of properties valued at well above one million dollars, and often into the tens-of-millions, Corona del Mar has become a leader in the luxury market. Real estate opportunities in the community offer a wealth of diversity in style, architecture and options and are a must-see for all serious luxury buyers. As one of Newport Beach's largest communities, Corona del Mar houses a medley of options for location as well. Whether you prefer the waterfront access of Corona Beach or priceless views from just south of San Joaquin Hills, there's a dream home in Corona del Mar for everybody. Corona del Mar is home to Fashion Island, an upscale shopping destination complete with department stores, boutiques and restaurants. The Sherman Library and Gardens is another popular place for residents, featuring botanical gardens, plant conservatories and fountains. 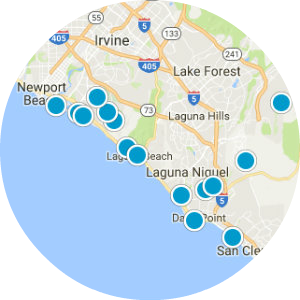 The community is also in close proximity to a number of other popular points of interest, including the Newport Beach Country Club, Bonita Canyon Sports Park and Crystal Cove. 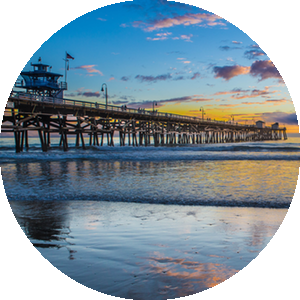 Corona del Mar real estate is great for individuals looking to enjoy an active, well-rounded lifestyle with access to some of the best recreational facilities and amenities in the world.